Sometimes it’s better to have a cheap combi boiler than no central heating at all in your home in the middle of winter. When it comes to a cheap combi boiler, it’s best to have realistic expectations, or no expectations at all. Central heating boilers have evolved into complex machines relying on high quality internal components working along with advanced electronics and digital programmable thermostats. Let’s take earphones for example. Chinese knock-offs may be just as good as their original counterparts at a fraction of the price, in some cases surprisingly good for original designs, because as far as technology goes, they’re much simpler. It’s not the same in case of boilers, because they are much more complex. PLEASE NOTE: If you buy a cheap combi boiler, you should be aware that there have been several complaints throughout the UK against these brands. So, it’s better not to have sky high expectations regarding quality, reliability, durability or efficiency etc. You get what you pay for. But if it can’t be helped, then these cheap combi boiler models listed below will get the job done in the short term at least. Company Overview & Boiler Features: A well known brand in the UK, famous for their Baxi Bermuda Back Boilers during the 60s and 70s, Baxi’s performance in the condensing boiler era hasn’t been enough to put them among the top 3 combi boiler brands in the UK, their affordable line still performs quite well. Baxi boilers are straightforward to install, maintain and service and easy to use. Company Overview & Boiler Features: Vokèra started 35 years ago with bases around the UK and Ireland. Backed financially by their parent company, Riello Group, they are known in the UK and Irish markets as a trusted affordable brand. Surprisingly, even if they fall in the “affordable” or “cheap combi boiler” category, their boilers are good at energy efficiency. Vokèra is ISO 9001 approved, supports the ‘Benchmark’ initiative, are members of the Heating and Hot Water Industry Council, the Gas Safe Register and the RGII. Company Overview & Boiler Features: Alpha has over 50 years’ experience, is part of the Immergas Group, operating in 30 countries including eight in Europe. Immergas are the market leaders in Italy, their home country. 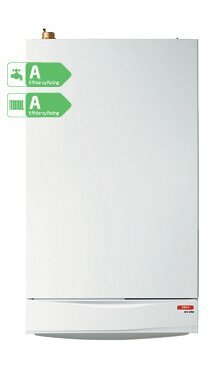 When it comes to an affordable or cheap combi boiler in the UK, Alpha comfortably sits in the top 3 boilers. 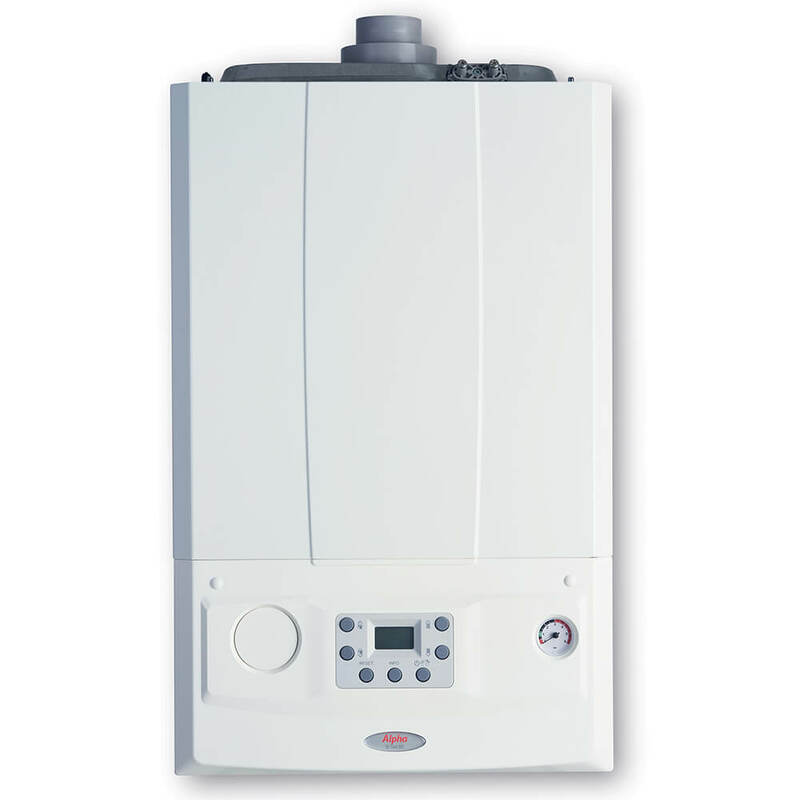 The E-Tec Plus boiler is their newest combi boiler range with 7 year warranty as standard. But to have extended warranty, you need to buy their add-ons, like the Cyclone Plus magnetic filter (1 year) and the PremierPack Extra (3 years) bringing the grand total up to 10 years. The compact yet powerful Advance combi can deliver up to 13.3 litres per minute of instant hot water. 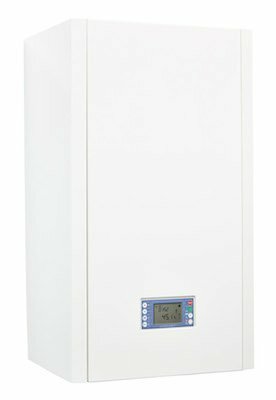 Despite being in the cheap combi boiler category, this boiler has a stainless steel single coil heat exchanger that is robust and efficient. Company Overview & Boiler Features: Leopoldo Biasi opened a small thermomechanical business in 1938, and in the 1940s he opened a facility to manufacture residential boilers. As his company grew in size, he added gas boilers to the Biasi portfolio in 1986. With their manufacturing production facility in Pordenone, Italy, Biasi serve 40 markets across the globe. Biasi UK Ltd was formed in 1990 to promote the group’s products throughout the UK and is a leading supplier to the heating industry throughout the British Isles. Operating from a 64,000sqft facility located in Walsall, in the Midlands, Biasi provides an unrivalled one-stop-shop heating solution. Biasi UK are not just known for being a cheap combi boiler, but also central heating radiators, towel rails and LST radiators. Company Overview & Boiler Features: Ravenheat was established in 1987 in Leeds, with manufacturing operations at two sites in Verona, Italy and an annual production capacity of 80,000 units. They have fair experience in manufacturing condensing boilers since 1996. Again, not known for the highest efficiency or quality, but an affordable option compared to higher end brands. If you’re short on cash and need a cheap combi boiler ASAP, Ravenheat is definitely worth looking at. Company Overview & Boiler Features: Main Heating is the affordable wing of Baxi Heating. Baxi Heating is part of the BDR Thermea Group with a portfolio of several commercial and domestic heating brands in the UK and Ireland, including Baxi; Potterton; Heatrae Sadia; Megaflo; Remeha; Andrews Water Heaters; Potterton Commercial; and Packaged Plant Solutions. 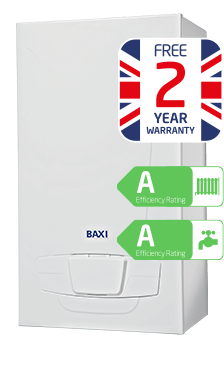 As we mentioned above, this is the affordable or “cheap” wing of the Baxi Group. Company Overview & Boiler Features: Potterton have been making boilers since 1850 in the UK. In fact, they found pretty good success in the 1970s with their back boilers with a solid cast iron heat exchanger. They were renowned to be very reliable boilers, but unfortunately today Potterton leave a lot to be desired. 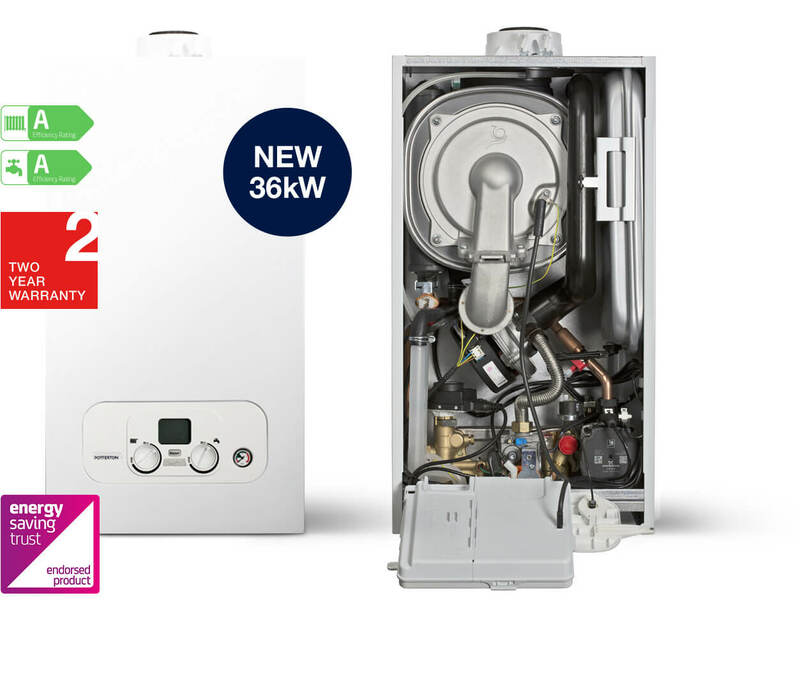 As a business they are active in the social housing markets because of their current reputation as a cheap combi boiler brand. Potterton also promote environmental, social and economic sustainability as much as possible. Much like Main Heating, Potterton are also part of Baxi Heating, owned by the Netherlands based BDR Thermea Group. Should You Buy a Cheap Combi Boiler? The answer is overwhelmingly NO, judging by the number of complaints a couple of the brands listed above have gotten over the years. BUT if you desperately need a boiler for the short term and can’t afford to spend more than the bare minimum, then go for it. Or if you think you won’t be needing your new boiler for more than 2-5 years, then a cheap combi boiler is better than nothing. 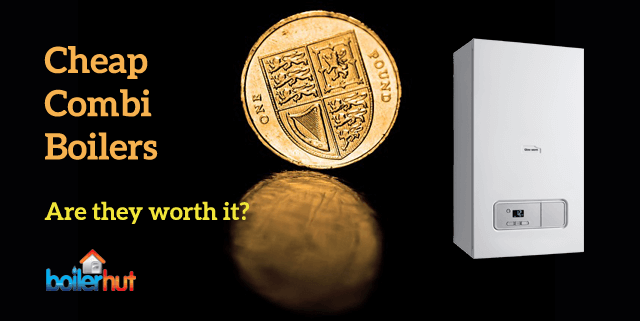 Fortunately high end manufacturers have decided to compete in the price sensitive UK market, so even if you pay a bit more money upfront, you save a tonne of money over the long term. High end combi boiler manufacturers like Viessmann, Worcester Bosch, Vaillant, ATAG etc. 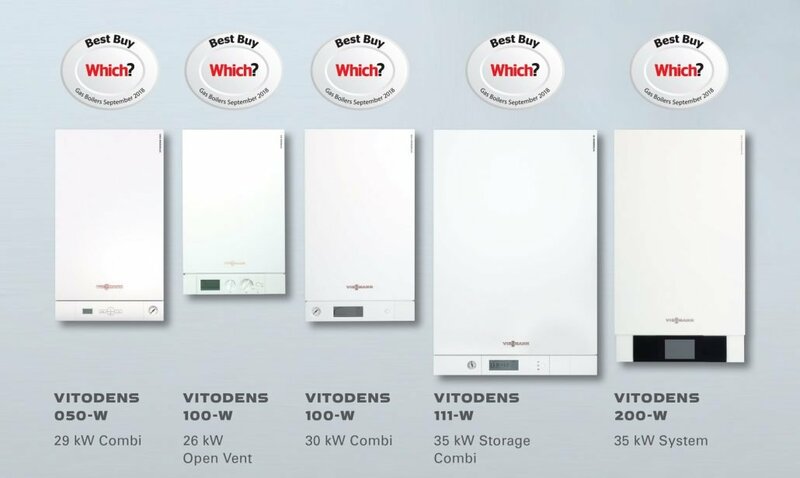 have much higher quality components inside their condensing combi boilers, and with the combination of innovative high end controls, they are not only Boiler Plus Legislation 2018 compliant, but also achieve sky high efficiency, like the Viessmann Vitodens 200-W which goes up to a whopping 98% efficiency, wasting only a measly 2% of the fuel going in. Compare this to older non-condensing boilers which drop down to 70% to 50% efficiency. Or a cheap combi boiler because of the quality of its internal components, may start at around 90% efficiency, but will drop down rapidly. 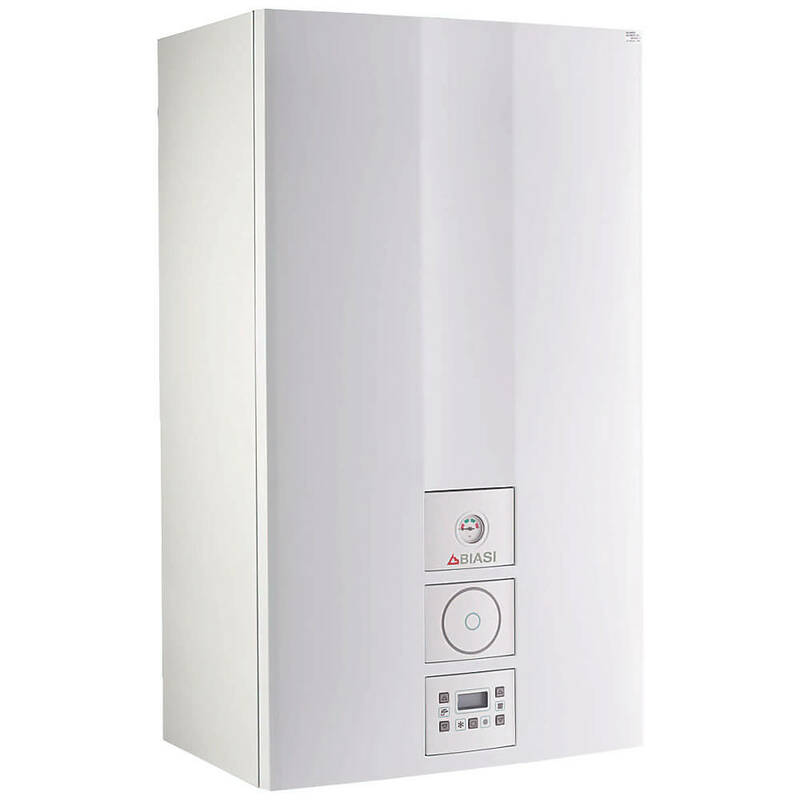 If you’re going to spend between £1500 to £1700 on a cheap combi boiler anyway, why not spend a little bit more and get a premium, high efficiency boiler? It’s made from the highest grade of stainless steel and manufactured in-house, whereas other boiler brands source their internal components from third-party manufacturers. Also, brands like Worcester Bosch, Ideal, Baxi and Vaillant use aluminium heat exchangers either manufactured in-house or from a third party manufacturer based in France, called Giannoni. It’s more likely the latter. 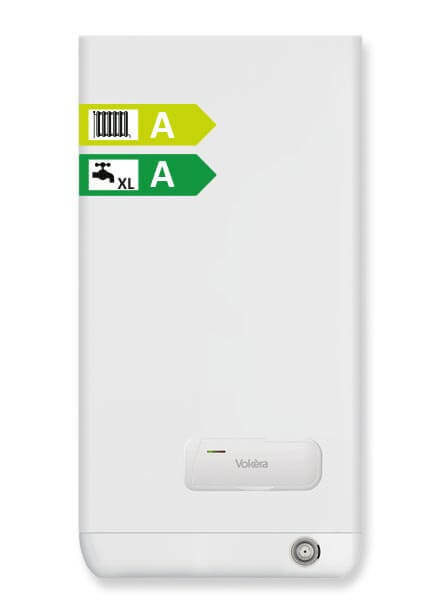 To get a quote on the best combi boilers in the UK at the moment, please enter your postcode below and hit the green button. Why is Stainless Steel better than Aluminium Inside a Boiler? Stainless steel is highly resistant to corrosion in a wide range of pH levels, whereas aluminum will corrode much faster if the proper fluids are not used to produce and maintain a narrow pH range. Heat exchangers made of aluminium need special manufacturer recommended heat transfer fluids and inhibitors when starting up and maintaining the system. If those proper fluids are not used, you may end up damaging the heat exchanger. And if you do damage the aluminium heat exchanger, you will void the warranty because the manufacturer will cite that the proper fluids have not been used. 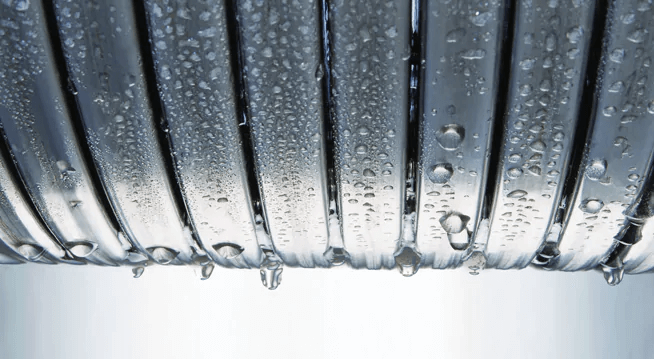 In direct comparison, stainless steel heat exchangers do not require special fluids, are compatible with plain clean water and commonly available propylene glycol. 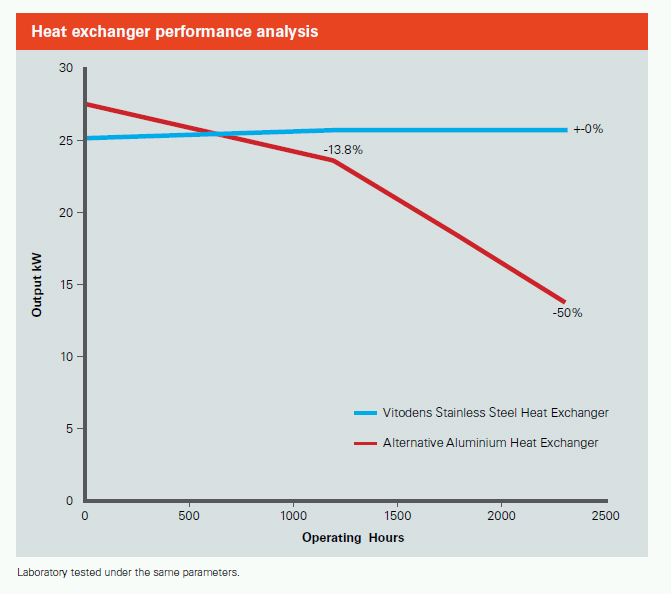 For a boiler manufacturer, it is more expensive to source or manufacture stainless steel heat exchangers compared to aluminum. While aluminum is lightweight and has high thermal conductivity initially, but over the long run stainless steel will be much better value for money due to the longevity and better corrosion resistance. Aluminum will rust, corrode, warp, and break down long before stainless steel, so investing in a boiler with a quality stainless steel heat exchanger will increase the useful life of your boiler. PLEASE NOTE: As a business we have had customers coming to us with broken boilers with aluminium heat exchangers after only 8 years of use. So, whether you’re buying a high end or a cheap combi boiler, it’s always better to buy one with a stainless steel heat exchanger.